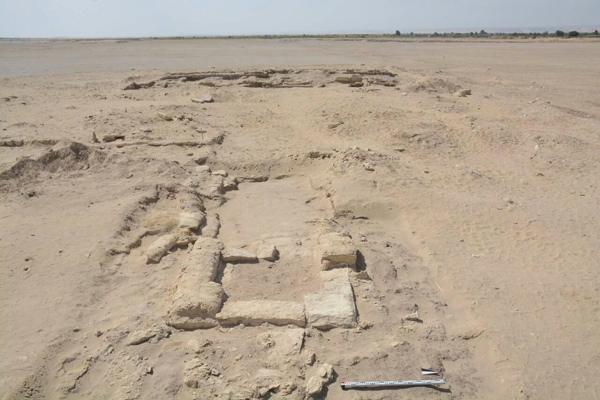 A German-Egyptian archaeological mission has discovered the first Hellenistic gymnasium ever found in Egypt, located at Medinat Watfa, in the northwest of Fayoum Oasis. 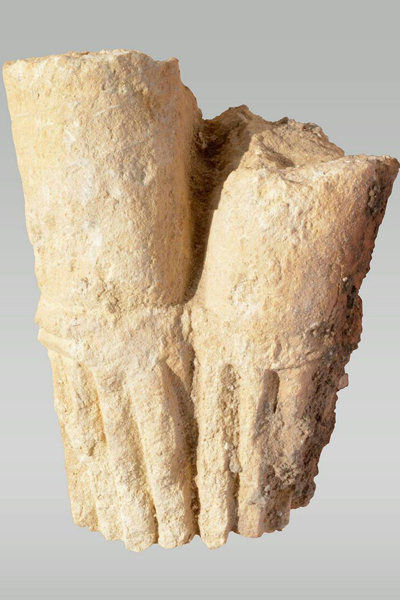 The mission from the German Archaeological Institute (DAI), headed by Professor Cornelia Römer, made the discovery as part of its ongoing excavations at the Watfa site. Watfa is the location of the ancient village Philoteris, founded by king Ptolemy II in the 3rd century BCE and named after his second sister Philotera. Aymen Ashmawi, head of the Ancient Egyptian Antiquities sector at the Ministry of Antiquities, said that the gymnasium included a large meeting hall, once adorned with statues, a dining hall and a courtyard in the main building. There is also a racetrack of nearly 200 metres in length, long enough for the typical stadium-length races of 180 metres. Generous gardens surrounded the building, completing the ideal layout for a centre of Greek learning. Römer explains that gymnasia were privately founded by rich people who wanted their villages to become even more Greek in aspect. There, she continued, the young men of the Greek speaking upper-class were trained in sports, learned to read and write, and to enjoy philosophical discussions. All big cities of the Hellenistic world, like Athens in Greece, Pergamon and Miletus in Asia Minor, and Pompei in Italy, had such gymnasia. “The gymnasia in the Egyptian countryside were built after their pattern. Although much smaller, the gymnasium of Watfa clearly shows the impact of Greek life in Egypt, not only in Alexandria, but also in the countryside," Römer said. Alexander the Great, she pointed out, had made Egypt part of the Hellenistic world, and thousands of Greek-speaking settlers flocked to the land by the Nile, attracted by the new Ptolemaic empire, which promised prosperity and peace. In the Delta and Fayoum in particular, new villages were founded, in which the indigenous population lived together with the Greek newcomers. Such villages were equipped not only with Egyptian temples, but also with Greek sanctuaries. There were also public baths, an institution very popular in the Greek world. The baths soon became places of social encounter in the villages and meeting points for the Egyptian and Greek-speaking inhabitants. Gymnasia as places of Greek culture and lifestyle were part of this Hellenistic cultural setting. Inscriptions and papyri had already witnessed the existence of gymnasia in the countryside of the Ptolemaic period. They tell of of payments for parts of the main buildings being made by rich inhabitants of the villages, and of the men who governed the institutions. 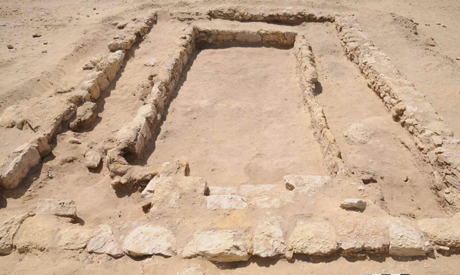 At Watfa, the first building of this kind in Egypt has now been discovered. Watfa, ancient Philoteris, was one of the many villages founded under the first Ptolemies in the middle of the 3rd century BC. In the beginning, it had around 1,200 inhabitants, two thirds of them Egyptians, and one third Greek-speaking settlers. The German Archaeological Institute has been conducting surveys and excavations at Watfa since 2010.